Sign up to Dry July Australia 2018 and raise funds for Cancer Council NSW. Cancer Council NSW believes in a cancer-free future. There are things that we can all do every day to help make this happen. Every year in NSW alone, more than 48,000 new cases of cancer are expected to be diagnosed, and the impact on patients, carers, families and communities is significant. Together with our volunteers and supporters, we are committed to reducing the impact of cancer through Research, Prevention, Information and Support, and Advocacy. Cancer Council NSW receives 95% of our funding from non-government, community sources. With your support, we can continue to work across every area of every cancer, and ensure that no one needs to face cancer alone. Thank you for choosing to support Cancer Council NSW this Dry July! Refurbishments will include essential painting, landscaping, and the installation of safety features to ensure the house and backyard meet health and safety standards. Dry July’s invaluable support will also contribute to the purchase of furniture to accommodate families comfortably, during what can be a very difficult time. Featured in the photo from left to right are Ricky Puata (Cancer Council NSW staff), Alison Byrne (grand daughter of Joan Smith), Lorraine Miller (daughter of Joan Smith) and Terry Smith (son of Joan Smith). 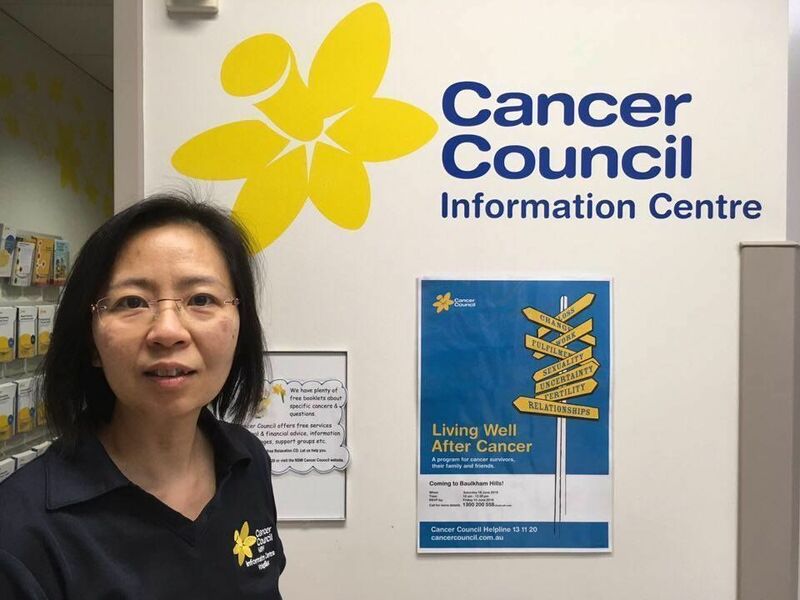 One of our amazing volunteers, Tracy Tran, knows all too well the need and benefit of our Parramatta community centre. When Tracy went through her own cancer diagnosis, she accessed Cancer Council NSW’s services for information and support. Now, between running a business, being a mother and keeping up with her yoga, Tracy volunteers at the Parramatta community centre and facilitates the Chemo Patient Talks for patients and carers at Westmead Hospital each week. She says that people are always grateful of the work they do and the free information packs they are able to provide. Funds raised through Dry July directly benefits people affected by cancer across metro, regional and rural NSW. 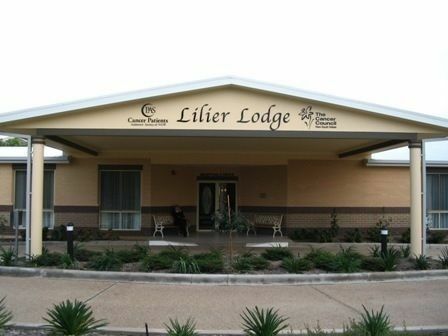 Lilier Lodge is a dedicated patient accommodation facility in Wagga Wagga. Operated by Cancer Council NSW and Can Assist, the lodge was purchased in 2004 and has endured high traffic over the last 10 years. Funds raised from Dry July 2015 enabled Cancer Council NSW to commence refurbishment works in February 2016. We have completed upgrades to 20 guest rooms and are currently in final stages of renovating the reception, common rooms, offices, family suite, main entry hallway and dining room. Lilier Lodge provides cancer patients and their families a home away from home, keeping them together during treatment. Thank You Dry Julyers! 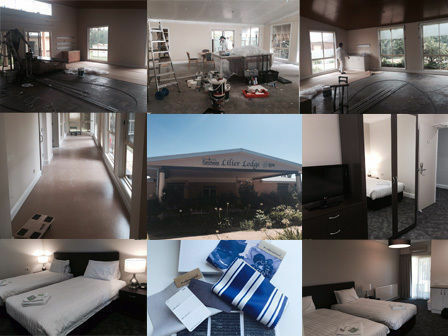 Lilier Lodge is a dedicated patient accommodation facility in Wagga Wagga. The lodge services adult cancer patients from across south-western NSW while they are undergoing cancer treatment at the Riverina Cancer Care Centre. Operated by Cancer Council NSW and Can Assist, the lodge was purchased in 2004 and has endured high traffic over the last 10 years. Funds from Dry July 2014 went towards stage 1 of refurbishing the lodge, and stage 2 will commence shortly with funds from Dry July 2015. 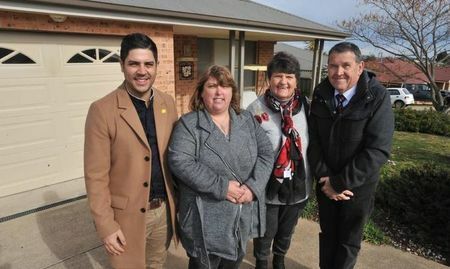 Cancer Council NSW will use Dry July funds from 2015 toward a new service which will assist cancer patients from rural and regional NSW with coordinating their transportation and accommodation needs when they need to come to Sydney for treatment. Help with finding accommodation is one of the most requested services through the Cancer Council. For many rural and regional cancer patients who are experiencing disadvantage, ease of access to transport often makes the difference between getting treatment and going without. CCNSW is committed to ensuring that all patients travelling for treatment are able to access affordable accommodation facilities during their cancer treatment and further that patient accommodation facilities act as a key engagement point for patients and carers, providing access to comprehensive cancer programs, information and support services. CCNSW has developed a concierge based service that once operational, will provide high level service delivery to patients travelling for the purpose of treatment. The service will coordinate the provision of accommodation (secured through partnerships with commercial providers), through a case management and booking service allowing patients to access affordable accommodation close to major treatment centres. The service will be supported by a CCNSW operated transport service.